Last night I did not wake up to switch off the alarm after 17 min. Or maybe I did but I do not remember. 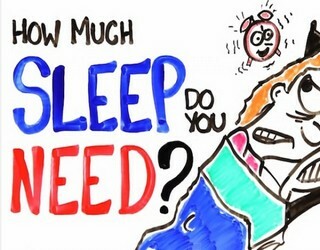 I was very tired last night from working a lot and doing my experiment with sleeping less. I woke up in the morning around 8 o'clock after about 6 hours. When I woke up I was kind of more rested. I think that the reason for it is that I have reached a deeper state of sleep. But still during the day I had light sensation of tiredness in my head. Though it is gone later afternoon. Later in the evening I made a short 17 min sleep. But then I set the timer for the 2nd time. And then I stayed a little bit longer on the sofa snoozing. Thus maybe I slept something close to 1 hour. You'll know... I do not remember exactly at what time I lied down on the sofa and I do not remember exactly the time when I got up. This is the thing with the sleep and being tired. It looks like that this is just like with the dreams which we have problems to remember. Anyway the solution would be to WRITE ON THE PAPER THE EXACT HOUR WHEN I LIE DOWN AND WHEN I GET UP OUT OF BED. This thing with memory lacks about the waking up happens to me notoriously so I must use the paper to keep track of how much time I spend in bed. Which is important for my experiment. So now it is 3 am. I will not go to sleep yet because I just had some rest on the sofa ( as I said I do not know exactly for how long. Apart from this I have decided that I will continue writing every day my articles about sleep for another 21 days. You'll know... I need to see whether I can achieve any visible results. And I need to have it on documented on paper. And this is also the reason why I will use the paper to write my time which I spend in bed.